Balancing price vs. quality can be a deciding factor for some consumers. Local florist shops, supermarkets, street vendors, online outlets. There are a lot of petal peddlers out there, and — according to Checkbook ratings from Delaware Valley area consumers — many disappoint buyers with delayed deliveries, wilted flowers, broken promises, and arrangements far smaller and much more different than shown in catalogs. Because floral customers often place orders for a product that's arranged and delivered sight unseen, it's no surprise that so many problems occur. Florists must somehow interpret customers' tastes, determine what's appropriate for the occasion, and design and build a work of art fitting those needs. The best floral shops make this happen with fresh products, prompt delivery, and low prices. Through a special arrangement with the Inquirer, you can access Checkbook's quality and price ratings of local florists free of charge until March 5 by using this link: www.checkbook.org/inquirer/florists. If you want an arrangement delivered, seek exotic or unusual flowers, or need advice, your best bet is a retail florist. But if you're willing to pick up blooms yourself, need a typical bouquet, want to arrange the flowers yourself, or would like to save money, you have other options. Supermarkets, warehouse clubs, and other mass merchandisers count on big-time foot traffic, selling flowers to shoppers who stop in to buy a few things, but leave with a cartful of other stuff. What you'll find ranges from basic (a few carnations) to full-service. Supermarkets and big-box stores offer one big plus: price. Checkbook's shoppers found that supermarket prices averaged about 60 percent lower than those at traditional florists. But there's a wide spread of costs for the same blooms among different supermarkets. For example, Checkbook found supermarket prices ranging from $10 to $25 for a dozen red roses. Street vendors cater to impulse buyers: hand over some cash and arrive home a hero. The quality of the flowers can vary a great deal: Many street sellers get their blossoms from the same wholesalers that supply florist shops, but some vendors may be peddling several-day-old flowers. Checkbook's shoppers found street vendors' prices averaged about 10 percent lower than those at supermarkets and about 40 percent lower than those at retail florists. Good retail florists can help with any flower-oriented need, plus delivery, wire services, and helping with big events such as weddings. Their business models and styles range from wire service-only (with that standard FTD look) to custom shops creating original designs arranged with unusual or exotic flowers in vintage or artistic vases. Many florists evaluated by Checkbook received high ratings from their surveyed customers, but the ratings for some shops prove that a rose is not a rose: Consumers often lodged complaints about late or missing deliveries; florists showing up with the wrong items; poor-quality products; lousy attitudes; and wire-service arrangements that showed up with fewer (or lower-quality) flowers than ordered. Checkbook's undercover shoppers also found big price differences among area florists: Some shops charge more than three times as much as their local competitors for the same products. 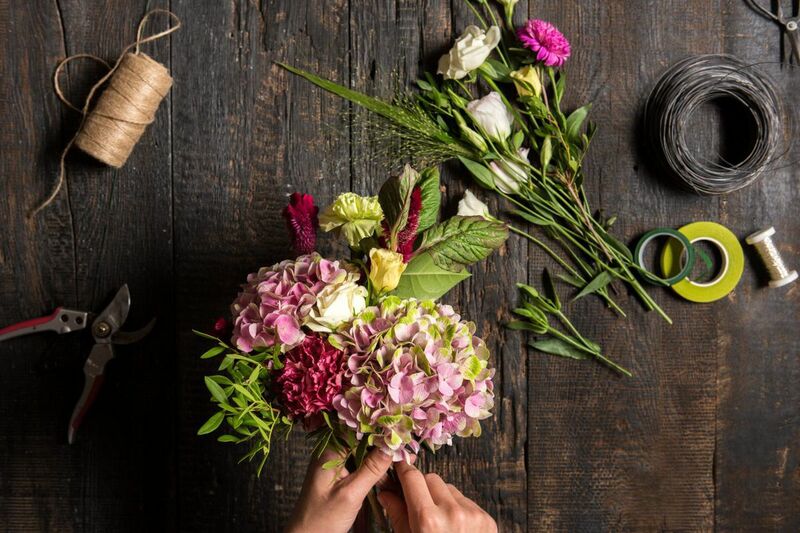 If you need to send flowers to someone outside the Delaware Valley area, you have a few choices: ordering directly through a florist in that city; asking a local florist to coordinate things, or turning to a national floral network. Checkbook's take: Work directly with a retail florist — either located here or where the recipient lives — rather than relying on a national outfit. The best florists keep track of their experiences with florists in other areas and will follow up to make sure your blooms are delivered. Another good option: Identify and use a good florist in the distant city. By cutting the local store from the transaction, you avoid wire service charges and other fees. You'll also communicate directly with the florist who will put together and deliver the arrangement. On the other hand, you won't get help from your neighborhood florist or its wire service if there are problems. Since using a national service or an order-taking company means customers have little control over the final result, it's no surprise that many buyers run into problems. A very common one: An order-taking service charges a customer too little money for an arrangement and sends the order to a participating florist, which eventually rejects it. The service then sends the order to a different florist, and again, after several hours, the job is rejected. Sometimes this flower-order merry-go-round continues for days, even weeks. Just as bad, a florist chooses to fill the underpriced order but skimps on flowers. This often happens when an underpriced order is accepted by a disreputable florist willing to take a little money to get rid of old flowers. No matter whom you hire to arrange your arrangements, pay by credit card. If a florist screws up and is unwilling to make things right, you can contest the charge with your credit card company and at least will get back your money. Delaware Valley Consumers' Checkbook magazine (Checkbook.org) is a nonprofit organization with a mission to help consumers get the best service and lowest prices. It is supported by consumers and takes no money from the service providers it evaluates. You can access Checkbook's ratings of area florists free of charge until March 5 at www.checkbook.org/inquirer/florists.